Cyclist Dylan Casey rode for the U.S. Postal Team with Lance Armstrong for five years starting in 1998, and for the U.S. team in the 2000 Olympic Games in Sydney. When Casey decided to leave the pro cycling world in 2002 to work in tech, some of his riding buddies thought he was crazy. "I didn't want to be one of those athletes that hang on too long," says Casey, 36. "Besides, I was already the de facto IT guy. I was always fixing everybody's laptops." 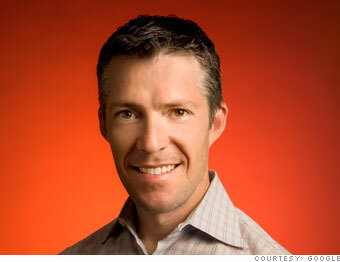 Casey landed at Google in 2002 where he now helps brand the company's personalized homepage, iGoogle. He still keeps in touch with his cycling friends, however, and they keep in touch with him. "After the IPO," jokes Casey, "Lance started asking me if he could borrow money."